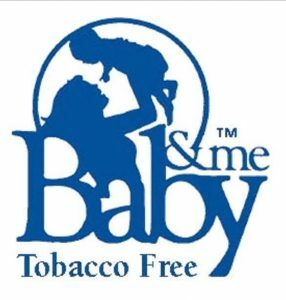 The BABY & ME- Tobacco Free Program (TM) is an evidence based, smoking cessation program created to reduce the burden of tobacco on the pregnant and postpartum population. Women attend 4 prenatal counseling cessation sessions to receive education and support for quitting smoking and staying quit, and test using a carbon monoxide (CO) monitor (breath test). At prenatal sessions 3 and 4, women may receive their first two diaper vouchers, if the test tobacco free. A smoker who lives with the preganat woman can also enroll into the program and if successfully quits smoking, may receive diaper vouchers during the postpartum period.